Hi… I’m Chris. Like a lot of us, my life has taken some unexpected twists and turns in recent years. Until I was 48, I was following the corporate success track. 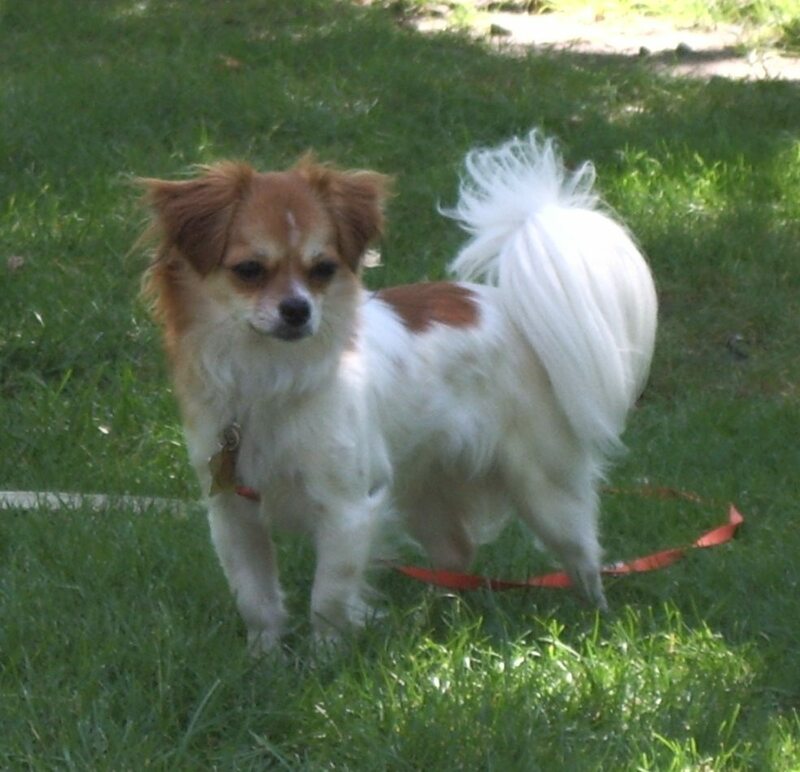 I went to college, worked for large companies and climbed the proverbial corporate ladder. Maybe because I flunked art in grade school, I was pretty dang sure I had no artistic ability. And my mother would’ve confirmed that “fact” (another story – another time). 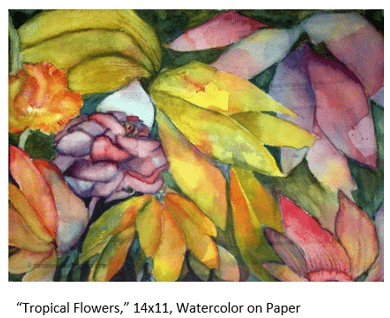 For some reason though, I signed up for a watercolor class in 2007. I can’t pinpoint exactly WHY the 10 week watercolor lessons beckoned me. However, the compulsion to attend caused me to try three times to sign up. – After decades of corporate work where I was an overachiever and always self-critical, I didn’t judge myself when it came to my artwork. WOW. Still loving that! – Free from self-critique, I found something inside me that resonated with my spiritual beliefs. This translates into my teaching. I encourage students to embrace the “happy accidents” and “flopportunities”. Something beautifully expressive comes from going with the flow. In January 2012, I set an intention to retire before full retirement age and plunged into the business end of my art. I got help establishing the infrastructure and processes so I could focus on creating art and building relationships. I knew delegating some tasks to others and not trying to do it all myself was critical. In September of 2014, I officially cut the ties to the corporate world. The most important learning has been to let my intuition guide me. When I quiet the mind and pay attention to the voice inside, or just “play,” I experience some pretty cool outcomes. People tell me I am inspirational. It always surprises me. Then again, I believe that’s how we change the world…one person at a time. We all start with ourselves and lead by example. Chris Blevins’ watercolor paintings have been displayed in many juried shows and prompted a lot of spirited bidding at charity auctions. Collectors have commissioned her to paint everything from a 1972 Chevy Nova SS to a commemoration of a special trip to Seattle to their beloved pet. 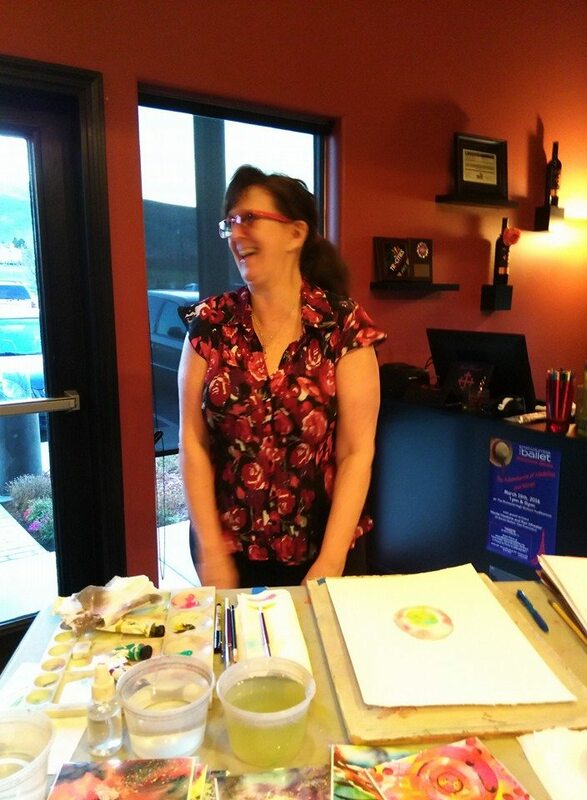 She is a featured artist for Goose Ridge Estates Vineyard’ Cellar Select Artist Series wines, one of which recently received a rating of 90 by the Wine Spectator and another being awarded a Best in Class at the longest running wine festival in the Northwest. 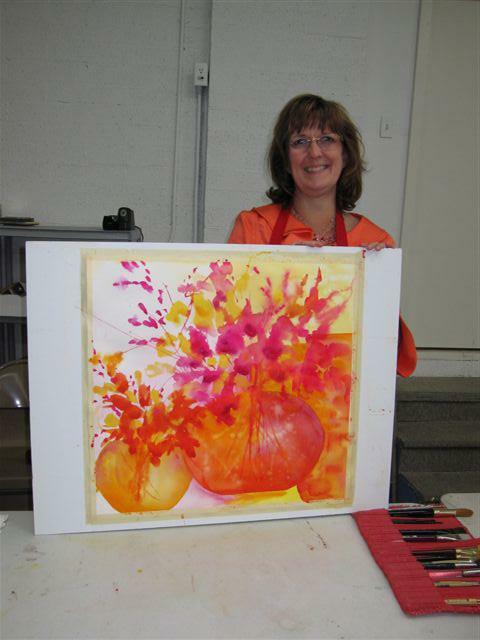 She hosts painting party events in private, public, and corporate settings, as well as teaching more traditional watercolor workshops (not that she’s ever really very traditional). 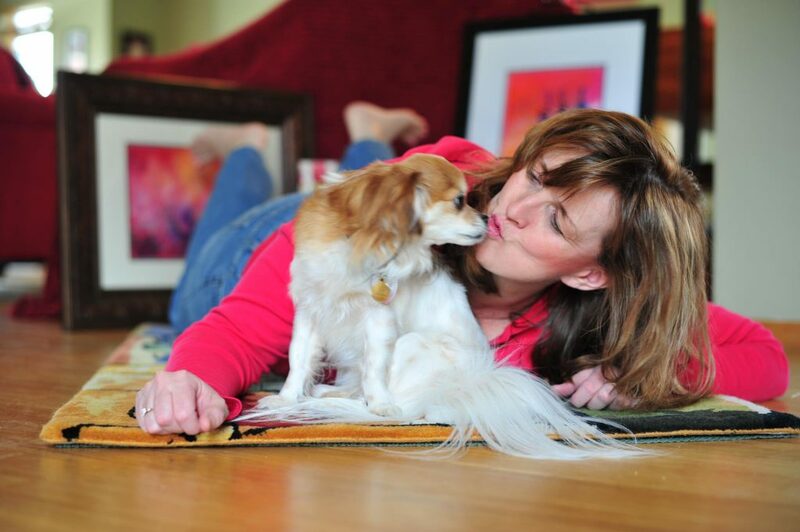 She plays and paints in Richland, Washington, USA, with her studio dog, Cooper the Schweenie (shih tzu / dachshund). 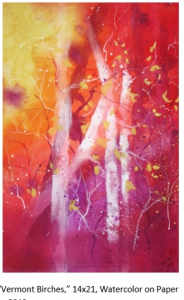 For some vibrant watercolor eye candy, visit Chris’ gallery. You can also follow her on Facebook. And more, on Chris’ Press page.